・I think that if you cook one dish at time. It would be better to learn how to do it and don’t miss any detail. ・incredible, I loved coming. I would totally recommend the class! ・Great! Loved the different dishes we cooked specially gyoza and lotus root. ・It would be better if there were more dishes without fish, but it was great everything I ate. ・Extraordinary! Wonderful! I got fun, it was really a pleasure to meet yoshiko. 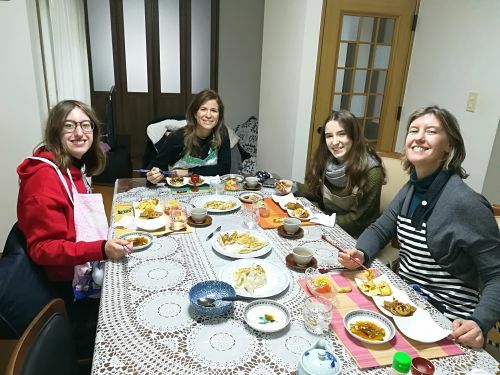 She is so kind and we learned a lot about Japanese food and culture. ・It would be useful to add to the written direcyors a list of seasonings.